Description : I created this level in blender. I added the Wizpig heads and the lighthouse from Diddy Kong Racing to really bring the place to life. I exported those from DKR of course. 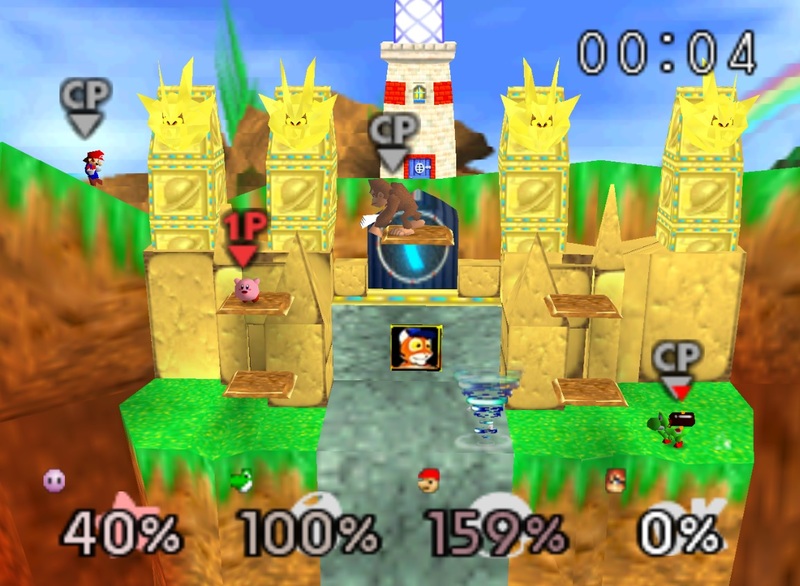 This hack works even better on N64 than it does on an emulator. Additional Credits : SubDrag for quick help with somethings dealing with a new editor. Important Notes : Wow editing SSB is really not that hard to do.